1.1. Our site is operated by MuchMorocco (‘we’/ ‘us’/ ‘our’), which is a sub-domain of VisitMorocco.com that is part of the Moroccan National Tourism Organisation (ONMT) based in Rabat, Morocco. 2.1. Access to our site is permitted on a temporary basis, and we reserve the right to withdraw or amend the service we provide on our site without notice. We will not be liable if for any reason our site is unavailable at any time or for any period. 2.2. From time to time, we may restrict access to some parts of our site, or our entire site to visitors. 2.4. You are responsible for making all arrangements necessary for you to have access to our site. 2.5. You are also responsible for ensuring that all persons who access our site through your Internet connection are aware of these terms, and that they comply with them. 3.1. Unless otherwise stated and subject to Condition 3.2, we are the owner, permitted user or the licensee of all intellectual property rights in our site, and in the material published on it. Those works are protected by copyright laws and treaties around the world. All such rights are reserved. 3.2. Pursuant to Condition 9.2, site users who upload material and content have represented and warranted to MuchMorocco: that they own all rights in the material being uploaded or otherwise have the right to submit the material to the website; that the material does not violate or infringe upon the rights of any third party (including any rights of copyright, trademark, or privacy); and that they agree to defend, indemnify and hold harmless MuchMorocco from and against any and all losses, and all claims by third parties resulting from their breach of any of the foregoing representations or warranties. MuchMorocco relies on these representations and warranties and does not accept responsibility to the extent that they are inaccurate or user generated content breaches any third party rights. 3.3.3. Print off a single copy of a page or extract of our website solely for your own personal use and not for any commercial or business purposes whatsoever. You must ensure that any printed materials include an acknowledgement of our intellectual property rights in that content. 3.4. You must not modify the paper or digital copies of any materials you have printed off or downloaded in any way, and you must not use any illustrations, photographs, video or audio sequences or any graphics separately from any accompanying text. 3.5. Our status (and that of any identified contributors and other third parties) as the authors of material on our site must always be acknowledged. 3.6. You must not use any part of the content/materials on our site for commercial purposes without obtaining a licence to do so from us, our contributors or our licensors. 3.8. The reproduction by whatever means of the whole or any part of any content /materials is strictly forbidden for any commercial or non-tourism related purpose. 3.9. In the event that you utilise any content/materials in a commercial or non-tourism related way that is not allowed by these terms and conditions, we reserve the right to seek damages through legal channels. 3.10. You must satisfy yourself that the use of any content/materials is not obscene, indecent, libellous or unlawful. We make no claim or warranty with regard to your use of content, names, text, people, trademarks or copyright material depicted in any content or material. 3.11.2. marks that MuchMorocco is licensed to use (unless otherwise stated and subject to Condition 3.2). 3.12. Nothing in these Terms and Conditions shall confer on you any licence or ownership of such marks or of any other intellectual property right. 4.1. Commentary and other materials posted or featured on our site are not intended to amount to advice on which reliance should be placed. We therefore disclaim all liability and responsibility arising from any reliance placed on such materials by any visitor to our site, or by anyone who may be informed of any of its contents. 5.1. We aim to update our site regularly, and may change the content at any time. If the need arises, we may suspend access to our site, or close it indefinitely. Any of the material on our site may be out of date at any given time, and we are under no obligation to update such material. 6.1.8. For any other loss or damage of any kind, however arising and whether caused by tort (including negligence), breach of contract or otherwise, even if foreseeable. 6.2. You agree to defend, indemnify and hold us harmless, our subsidiaries, affiliates, officers, directors, employees and agents from and against all damages, liabilities, claims, costs or expenses (including reasonable legal fees and costs) we incur arising from any use of any content/materials supplied to you. 6.3. Paragraphs 6.1 and 6.2 do not affect our liability for death or personal injury arising from our negligence, nor our liability for fraudulent misrepresentation or misrepresentation as to a fundamental matter, nor any other liability which cannot be excluded or limited under applicable law. 8.1. Whenever you make use of a feature that allows you to upload material to our site, or to make contact with other users of our site, you must comply with the content standards set out in our Acceptable Use Policy below. You warrant that any such contribution does comply with those standards, and you indemnify us for any breach of that warranty. 8.2.3. you hereby agree to defend, indemnify and hold harmless MuchMorocco from and against any and all losses, and all claims by third parties resulting from your breach of any of the foregoing representations or warranties. MuchMorocco relies on these representations and warranties and does not accept responsibility to the extent they are inaccurate and/or user generated content breaches any third party rights. 8.3. Any material you upload to our site will be considered non-confidential and non-proprietary, and we have the right to use, copy, distribute and disclose to third parties any such material for any purpose. We also have the right to disclose your identity to any third party who is claiming that any material posted or uploaded by you to our site constitutes a violation of their intellectual property rights, or of their right to privacy. 8.4. We will not be responsible, or liable to any third party for the content or accuracy of any materials posted by you or any other user of our site. 8.5. We have the right to remove any material or posting you make on our site if, in our opinion, such material does not comply with the content standards set out in our Acceptable Use Policy below. 9.1. You must not misuse our site by knowingly introducing viruses, trojans, worms, logic bombs or other material which is malicious or technologically harmful. You must not attempt to gain unauthorised access to our site, the server on which our site is stored or any server, computer or database connected to our site. You must not attack our site via a denial-of-service attack or a distributed denial-of-service attack. 9.2. By breaching this provision, you would commit a criminal offence under the Computer Misuse Act 1990. We will report any such breach to the relevant law enforcement authorities and we will co-operate with those authorities by disclosing your identity to them. In the event of such a breach, your right to use our site will cease immediately. 10.1. You may link to our home page, provided you do so in a way that is fair and legal and does not damage our reputation or take advantage of it, but you must not establish a link in such a way as to suggest any form of association, approval or endorsement on our part where none exists. 10.2. You must not establish a link from any website that is not owned by you. 10.3. Our site must not be framed on any other site, nor may you create a link to any part of our site other than the home page. We reserve the right to withdraw linking permission without notice. The website from which you are linking must comply in all respects with the content standards set out in our Acceptable Use Policy below. 10.4. If you wish to make any use of material on our site other than that set out above, please address your request to info@muchmorocco.com. 11.1. Where our site contains links to other sites and resources provided by third parties, these links are provided for your information only. We have no control over the content of those sites or resources, and accept no responsibility for them or for any loss or damage that may arise from your use of them. 12.1. There terms and/or your use of the Site shall be governed by and construed in accordance with Moroccan law and shall have exclusive jurisdiction over any dispute which may arise. 13.1. We reserve the right to refuse access to our site to any user at our sole discretion. 14.1. If any provision of the Terms and Conditions is judged to be illegal or unenforceable by a court of competent jurisdiction, the remainder of the provisions of the Terms shall continue in full force and effect. 16.1. If you have any concerns about material, which appears, on our site, please contact info@muchmorocco.com. 16.2. Thank you for visiting our site. Enjoy Morocco. 1.6. To create any material that may, in anyway, be deemed as an insult to Morocco and its culture. 1.8. (iv) Any equipment or network or software owned or used by any third party. MuchMorocco, VisitMorocco and the MNTO is committed to protecting and respecting your privacy. a. Information that you provide by filling in forms on our site. This includes information provided at the time of registering to use our site, subscribing to our service, posting material or requesting further services. We may also ask you for information, for example when you enter a competition or promotion, and when you report a problem with our site. d. Details of transactions you carry out through our site and of the fulfilment of your orders. e. Details of your visits to our site including, but not limited to, traffic data, location data, weblogs and other communication data, whether this is required for our own billing purposes or otherwise, and the resources that you access. f. Any information you provide to us in connection with your use of the forum. a. We may collect information about your computer, including where available your IP address, operating system and browser type, for system administration, and to report aggregate information to our advertisers. This is statistical data about our users’ browsing actions and patterns, and does not identify any individual. b. Where we have given you (or where you have chosen) a password, which enables you to access certain parts of our site, you are responsible for keeping this password confidential. We ask you not to share a password with anyone. e. Notify you about changes to our service. We may also use your data, or permit selected third parties to use your data, to provide you with information about goods and services which may be of interest to you and we or they may contact you about these by e-mail, post or telephone. f. Where we permit selected third parties to use your data, we (or they) will contact you by electronic means only if you have consented to this. g. If you do not want us to use your data in this way, or to pass your details on to third parties for marketing purposes, please tick the relevant box situated on the form on which we collect your data. h. We do not disclose information about identifiable individuals to our advertisers, but we may provide them with aggregate information about our users. We may also use such aggregate information to help advertisers reach the kind of audience they want to target. We may make use of the personal data we have collected from you to enable us to comply with our advertisers’ wishes by displaying their advertisement to that target audience. a. At an advertiser’s discretion, Google Analytics data may be examined in concert with data about MuchMorocco ads that have been shown using the Google Display Network or DoubleClick for Advertisers. Thus, MuchMorocco can understand how anonymous users interacted with the advertiser’s website after seeing MuchMorocco ads. b. MuchMorocco may use this data to inform and optimise our ad campaigns. c. Users may opt out of the DoubleClick cookie by visiting the Google advertising opt-out page or d. Visitors may opt out of Analytics surveys by visiting the Google Analytics Opt-out page. a. 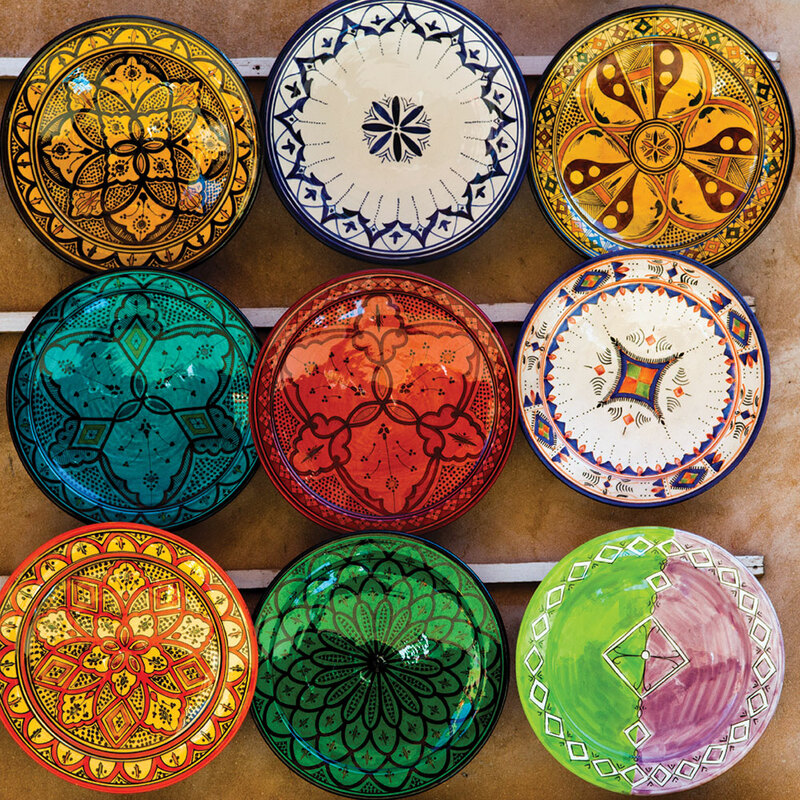 Third party vendors, including Google, may show MuchMorocco ads on sites on the Internet. c. We may also use Analytics data to serve ads based on a user’s prior visits to our website. a. You have the right to ask us not to process your personal data for marketing purposes. We will usually inform you (before collecting your data) if we intend to use your data for such purposes or if we intend to disclose your information to any third party for such purposes. You can exercise your right to prevent such processing by checking certain boxes on the forms we use to collect your data. You can also exercise the right at any time by contacting us at info@muchmorocco.com. b. Our site or our app may, from time to time, contain links to and from the websites of our partner networks, advertisers and affiliates. If you follow a link to any of these websites, please note that these websites have their own privacy policies and that we do not accept any responsibility or liability for these policies. Please check these policies before you submit any personal data to these websites. c. We may provide you with the opportunity to opt in to additional newsletters or promotional communications sent by email. If you have opted in or otherwise qualify to receive these forms of communication, and no longer wish to receive our newsletter or other promotional communications by email, you may opt out of receiving them by following the instructions included in each communication. a. The Data Protection Act 1988 gives you the right to access information held about you. Your right of access can be exercised in accordance with the Act. Any access request may be subject to a fee of £10 to meet our costs in providing you with details of the information we hold about you.